Points to defined a UserDefined distribution . 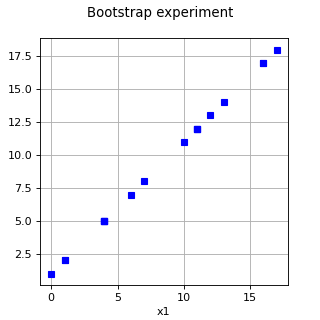 BootstrapExperiment is a random weighted design of experiments. 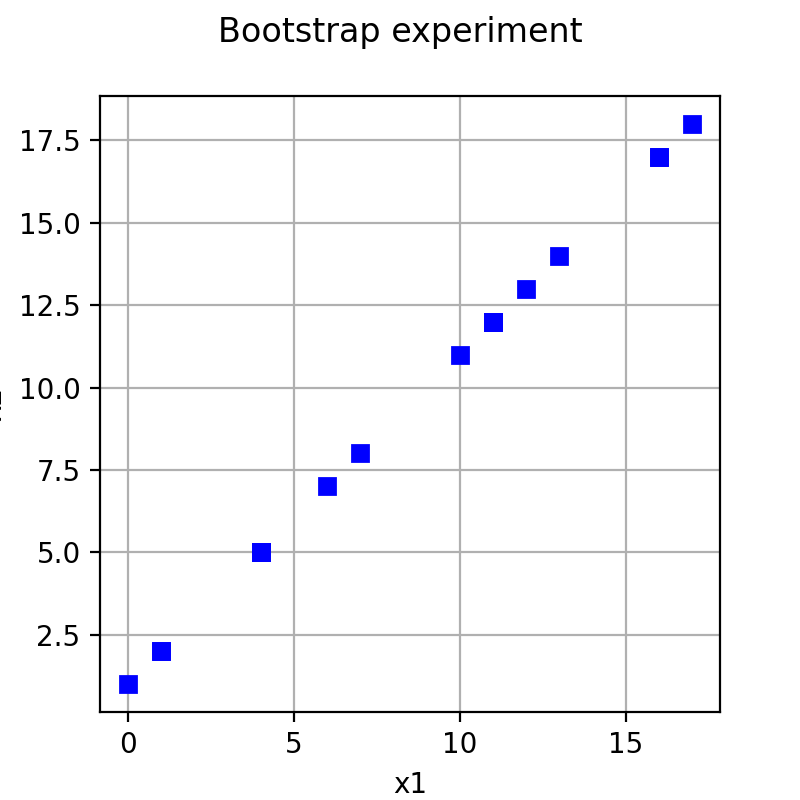 To call the BootstrapExperiment constructor is equivalent to call the WeightedExperiment constructor as follows: WeightedExperiment(UserDefined(sample), sample.getSize()). GenerateSelection(size, length) Generate a list of indices of points with replacement. Generate a list of indices of points with replacement. Size of the set of indices in which the indices are chosen. Number of indices to choose. Sequence of size length of indices such that .